As his band’s name would suggest, Mick Jagger is not known for standing still. The lead singer of the Rolling Stones has always been known for his frenetic (some might say spastic) onstage movements, something he’s been able to maintain even as he turned 70 last year. 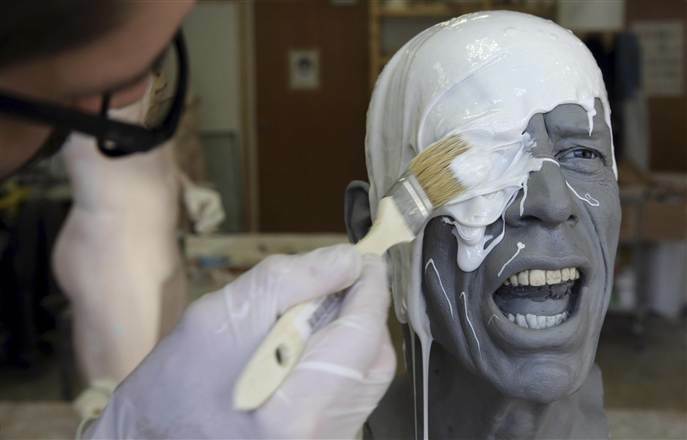 For the opening of the Grevin Wax Museum in Prague on May 1, a team of fifteen artists, including sculptors, moulders, dressmakers, make-up artists, wig makers, hairdressers along with lighting and set designers and sound engineers, were involved in the creation of the hyper-realistic statues. It takes at least three weeks to transform a lump of clay into a recognizable celebrity. The Jagger statue is uncannily believable, except that Jagger never stands still. 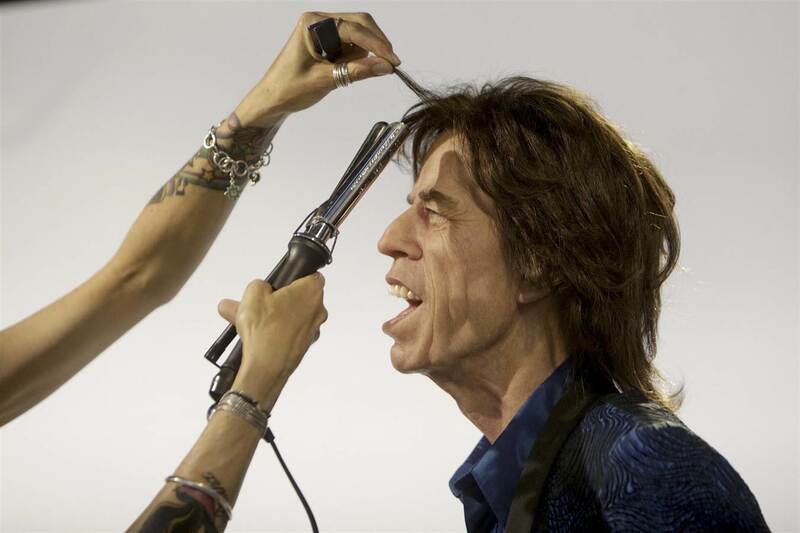 Grevin Wax Museum painter Franck Bruneau works on the head of Mick Jagger at a workshop in Paris on April 9. 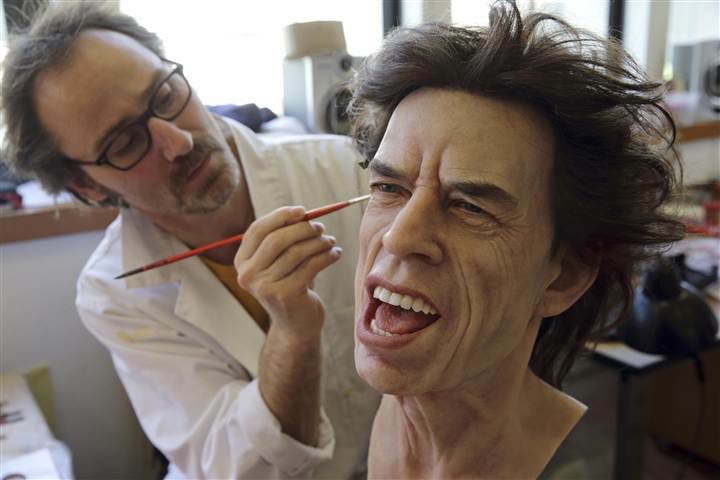 Grevin Wax Museum technician Matthieu Verrier works on the head of Mick Jagger in a workshop in Paris on Feb. 11. Only Mick can move like that! Hi, that statue is simply uncanny.